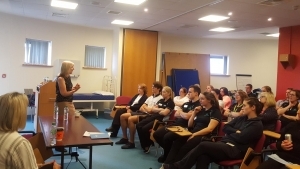 This month’s stand-out Butterfly Scheme event has been the launch at Mayo University Hospital in Castlebar, Republic of Ireland. As it’s only the third hospital in the Irish Republic to adopt the scheme, relatively few people had any idea what was about to hit them – very much like the early days of the scheme in the UK. As a teacher by background, the pleasure of delivering those launch day sessions was just huge – and the comments we so often hear at the end were somehow magnified: “That was the best session in … well … EVER!” was one, whilst one that almost reduced me to tears was the friends who approached me together for one to say, “I wanted to come and thank you, but really I just want to get out there right now and change everything for people living with dementia!”. Made me teary again just now, writing that! 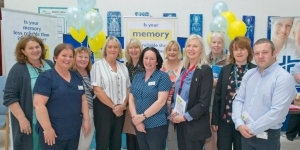 In the regional newspaper afterwards, the scheme was referred to as “a game changer” for hospital dementia care. 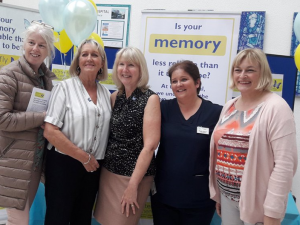 We need to be clear here: these staff always wanted to care well for people with dementia, they always did the very best they could – but now they know how to deliver dementia care that they can see works. A really wonderful team, with a superb Dementia Lead in Michelle. Attendance numbers were excellent from the start of the day, but by the end, chairs were being hauled in from all over the place and certainly attendance numbers for any training sessions at MUH were well and truly broken that day – and for that to have happened in the name of dementia care makes me very happy indeed. Thank you again to that excellent team – and thank you, as always, to all the Butterfly Scheme teams across the UK and Ireland who are delivering dementia care with such energy and passion.